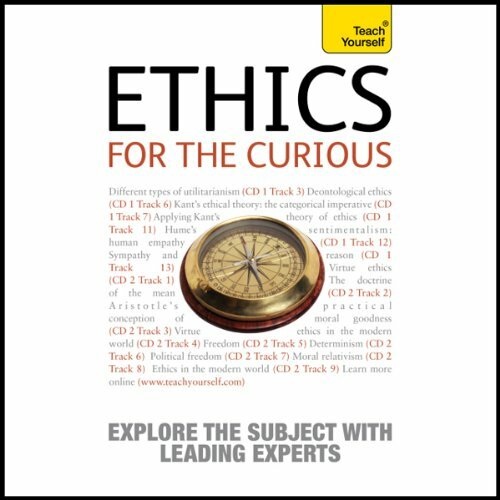 More than just a straight audiobook, this is a unique introduction to the world of ethics. Sit back and absorb the information you need as our panel of four leading experts guide you through all the key ideas in a series of fascinating audio discussions. Whether you're a complete beginner or a student wanting a convenient way to recap before your exams, it is guaranteed to hold your attention as the panel explores everything from utilitarianism to virtue ethics. The Chair, Mark Vernon, is a well-known author, broadcaster, blogger and journalists specializing in philosophy. The Panellists comprise Angie Hobbs, Senior Fellow in the Public Understanding of Philosophy at Warwick University; Mel Thompson, a prolific author specializing in philosophy and religion; Dr Miranda Fricker, Reader in Philosophy at Birkbeck University of London.